Karnataka Telecom circle (BSNL) has launched new "TPAD" with named "Penta TPad". There is no need to purchase a computer with higher cost to children. Because its coming with as low as Unbelievable price. 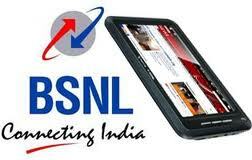 The people who buys this tablet can play and Accessing Internet without computer with good attractive BSNL Data plans. Current Tablets prices are so high where middle class people cannot buy Tablets but, this BSNL Tablet is available for all groups of people along with children. When compare to other Tablets Penta Tablet is available in two models with good features. Rs.250 with 7.5 GB Data usage and validityof 90 days. 3G services offer at lowest price of Rs.752 with 5GB Data usage with validity of 60 days.